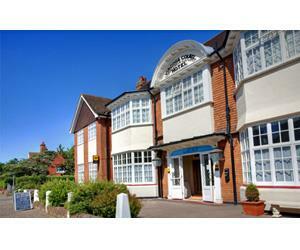 Virginia Court Hotel01263 512398work HotelIn a quiet tree-lined avenue just a 3 minute walk from Cromer seafront and pier, with free private parking and Wi-Fi, this stylish hotel is perfect for business or a relaxing leisure break. Located on a leafy quiet tree lined street, but just a short 2 minute walk through North Lodge Park to the seafront and Cromer Pier with easy access via lift to the promenade during the day. In a quiet tree-lined avenue just a 3 minute walk from Cromer seafront and pier, with free private parking and Wi-Fi, this stylish hotel is perfect for business or a relaxing leisure break. Drive down the Norwich Road A149 pass the tennis club and turn down Cliff Avenue which is the second road on the right. Half a mile from the railway and bus station.